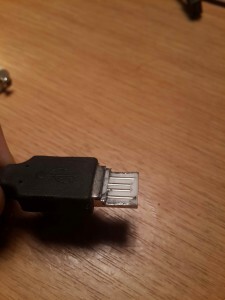 Why hasn’t there been a USB cable developed that is reversible like Apple’s lightning connector? This is something that has bothered me for a while. There are a lot of jokes around the USB connector, my favourite being this one from SMBC. But why can’t we have a reversible one. So I did a speed run through the 56 MB of documentation on USB 2.0, and can’t see any specific reason that this can’t be done. The only reason I’ve come up with is that there is a risk of shorting, especially if someone doesn’t conform to the standard. I also read on StackExchange, one person’s answer relating to USB specifications that the USB logo must be displayed on the top of the connector, something I feel can be easily overcome. I have seen a prototype demonstrated before, and while nice, I don’t think it’s the simplest solution to the problem. I believe this solution makes use of a similar mechanism. Also I really feel a plug shouldn’t have moving parts. I decided to test out Sketchup, having being spoilt with student version’s of Autodesk software throughout university, it was something new to try out. So excuse the poor animation and model. In any case, I took an old USB cable and shaved off the casing to test out the feasibility of this option. And my initial thought played true. 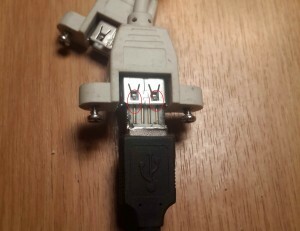 If you have contacts on both sides of the plug, on the side not connecting to the USB port, the contacts short with the springs in the port housing, which in practice would result in an overload warning from your computer, and the USB port shutting down. So, I can see why no one has done this yet, but I still think there’s a better solution than what we currently have. And I’m not convinced that my method, with some minor adjustments, can’t work. This entry was posted in electronics, Opinion and tagged connector, lightning, reversible, USB by Gareth. Bookmark the permalink.